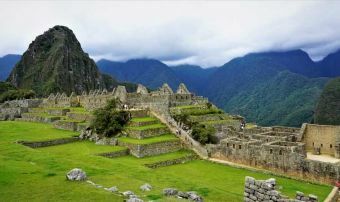 If you have in mind to make a Trek to Machu Picchu in Peru, it is very likely that the Inca Trail is your first choice, however, it is not the only option to get to this destination. The Salkantay Trek to Machu Picchu has become one of the most popular treks because the Inca Trail usually has limited spaces and when one verifies availability, it finds no available seats (you must reserve with 6 months of anticipation). But do not get frustrated, the Salkantay Trek is always available. Salkantay, is the name of one of the protective mountains of the Vilcanota mountain range it has a height of 6200 meters above sea level, considered the second highest peak in the Cusco region and one of the 5 highest peaks in Peru. where today is the route from Salkantay Trek to Machu Picchu with fantastic mountain views, exuberant vegetation, nice hot springs, coffe plantations, grate food, experince local people and it could be your best trip ever. 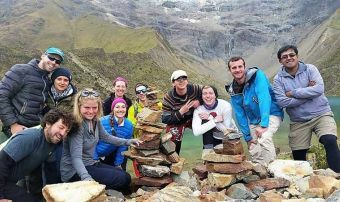 Kenko Adventures offers Salkantay trekking tours from 3, 4 and 5 days with final destination at Machu Picchu sunrise. This Salkantay 3 days route, its ample geography and bio diversity of flora and fauna, we walk through Humantay and Salkantay high mountains to reach Machu Picchu sunerise at the last day. 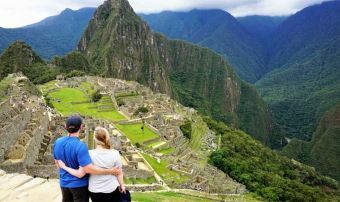 A special tour combines Salkantay Trek (3 days) and the Inca Trail (2 days) to reach Machu Picchu. Snowy landscapes and forests, as well as indigenous fauna and flora. Salkantay trekking 4 days trek to Machu Picchu, its ample geography and bio diversity of flora, fauna and hots spring, we walk through Humantay and Salkantay high mountains ending at Machu Picchu Sunrise.